It is stated that there was a Night Queen long ago in The Age of Heroes. How and why do they call her the Night Queen? Is it due to the reason that the Night King and the White Walkers are seemingly always together? Or is the Night Queen also capable of ruling and commanding their undead troops. How was she coined as the Queen of White Walkers? 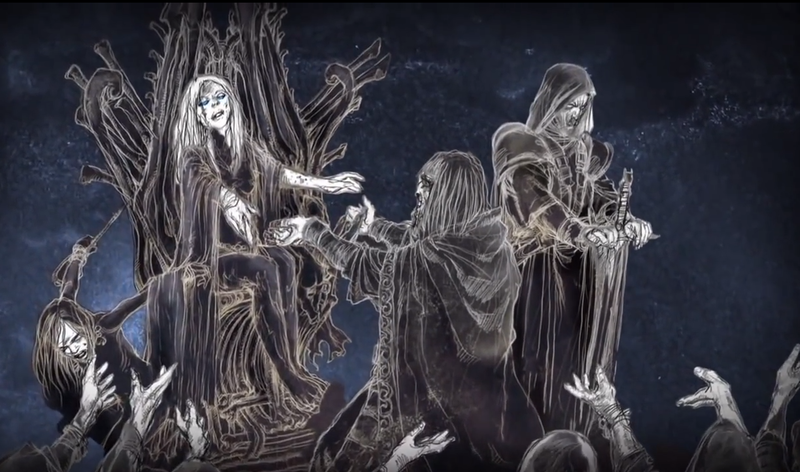 Also, is there any mentioned part in the books or show that revealed the true identity of the Night Queen - when she was still alive, breathing and not a mundane creature? The Thirteenth Lord Commander of the Night's Watch proclaimed her his queen after he named himself king. So, while "Night's Queen" is never a title explicitly given it can be easily inferred that the queen of the "Night's King" would be called that. The gathering gloom put Bran in mind of another of Old Nan's stories, the tale of Night's King. He had been the thirteenth man to lead the Night's Watch, she said; a warrior who knew no fear. "And that was the fault in him," she would add, "for all men must know fear." A woman was his downfall; a woman glimpsed from atop the Wall, with skin as white as the moon and eyes like blue stars. Fearing nothing, he chased her and caught her and loved her, though her skin was cold as ice, and when he gave his seed to her he gave his soul as well. Thirteenth Lord Commander of the Night's Watch fell in love with a woman with "skin as cold as ice and blue eyes". Brought her back to the Wall where he proclaimed them king and queen. Used magic to control the other Brothers until their defeat. The Maesters have heard and recorded the same story, although they offer some more insight on how the legend may have began. The oldest of these tales concern the legendary Night's King, the thirteenth Lord Commander of the Night's Watch, who was alleged to have bedded a sorceress pale as a corpse and declared himself a king. For thirteen years the Night's King and his "corpse queen" ruled together, before King of Winter, Brandon the Breaker, (in alliance, it is said, with the King-Beyond-the-Wall, Joramun) brought them down. Thereafter, he obliterated the Night's King's very name from memory. In the Citadel, the archmaesters largely dismiss these tales—though some allow that there may have been a Lord Commander who attempted to carve out a kingdom for himself in the earliest days of the Watch. Some suggest that perhaps the corpse queen was a woman of the Barrowlands, a daughter of the Barrow King who was then a power in his own right, and oft associated with graves. So the Maesters may answer your question that the true identity of the "Night's Queen" is that she was just a "Barrowlands Princess". 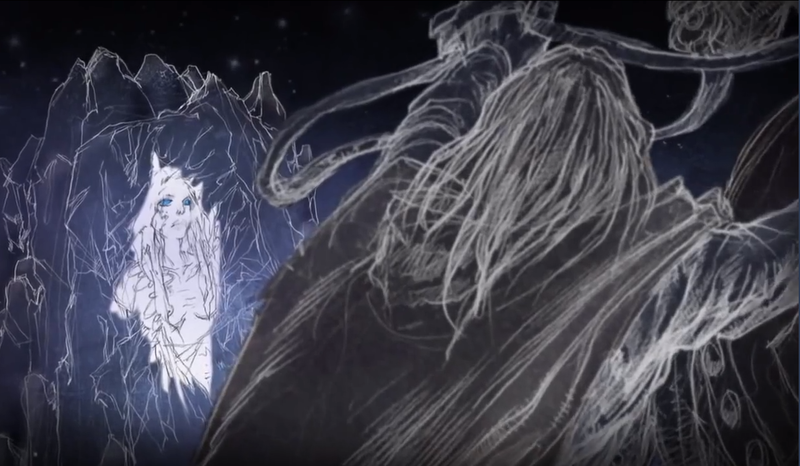 The only mention of the “Night’s Queen” in the series is actually from one of the Histories & Lore videos, as far as I’m aware nothing is mentioned in the main episodes. We Free Folk have our stories, too. About how one of your king crows found something cold in the woods... with bright blue eyes. How he brought her home, through your wall, and declared himself "Night's King". For thirteen years he and his queen ruled over his brothers, making sacrifices as black as their cloaks. Lucky for you southerners, the Free Folk rallied to a King-Beyond-the-Wall, as we will when need be, and marched on the ancient castle he had taken as his own, the Nightfort. With the help of the Starks, we killed the demon and cleansed your precious watch. An' then they thanked us, an' kicked us back across the wall... as you always have. From this we know she got her title from being the Night’s King’s queen though there is no evidence that she actually had that title. 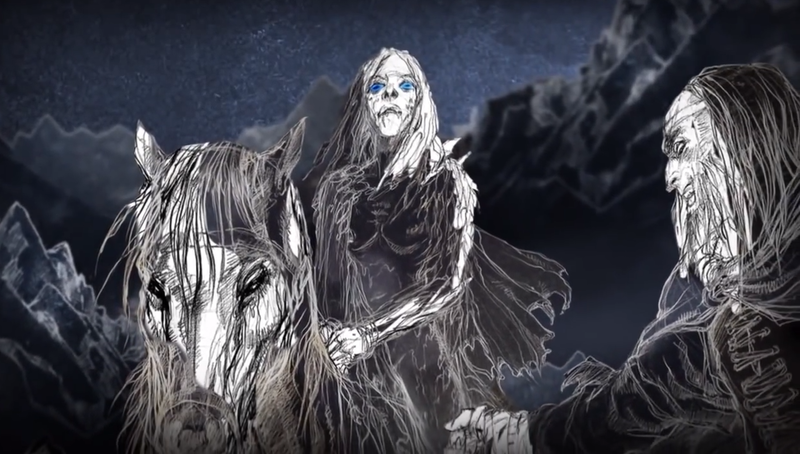 From the description of her it could be said she was a White Walker but we don’t know for sure. Night's King finds the "Night's Queen". "Night's Queen" rides back to the Wall. "Night's Queen" is made queen. How did they get to the old watchtower? Did Stannis see himself or another King in the night fire? Horn of Winter = Dragonbinder? 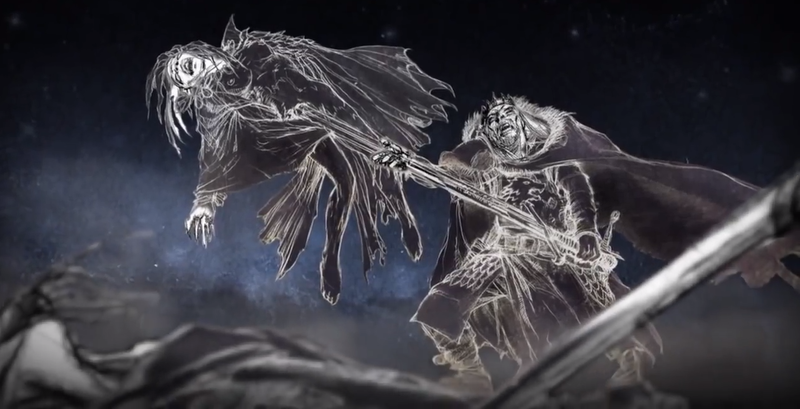 What is the origin of the White Walkers and who is the Night's King? Why does Daenerys get a title on her birth? From how far away can White Walkers resurrect?